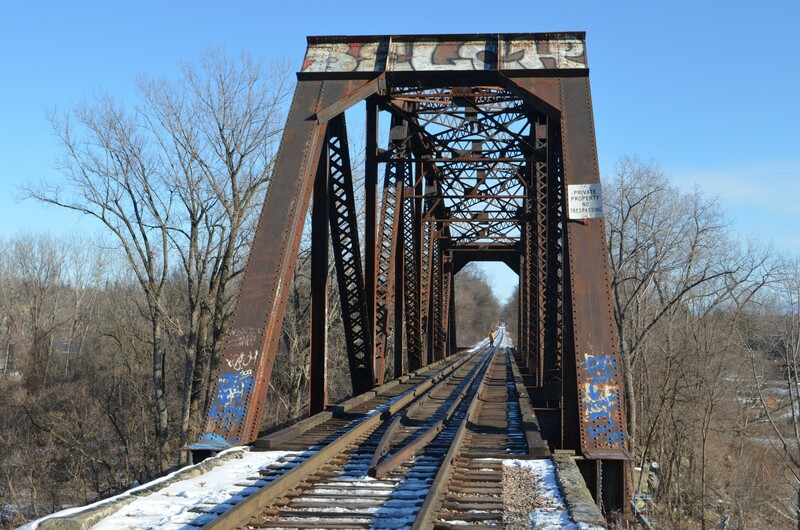 Burlington police are investigating the death of a 22-year-old Winooski man found at a railroad bridge off Intervale Road on New Year’s Day. Nicholas Cusson-Ducharme had been reported missing around 6 p.m. Saturday. Police said he was last seen early Saturday morning in downtown Burlington. He was reportedly intoxicated and had become separated from his friends, police said in a press release. Authorities began searching for Cusson-Ducharme on Saturday night but could not find him. On Sunday morning, a family friend went to the Blue Bridge, a railroad bridge off Intervale Road, and found Cusson-Ducharme’s body at the base of the bridge, police said. The investigation is ongoing, and an autopsy is pending. The bridge, 50 yards off Intervale Road, spans the Winooski River. Pedestrians sometimes use it as a shortcut between Burlington and Winooski. Authorities discovered a body beneath the bridge in 2011. Anyone with information is asked to call Detective Michael Hemond at (802) 540-2229.